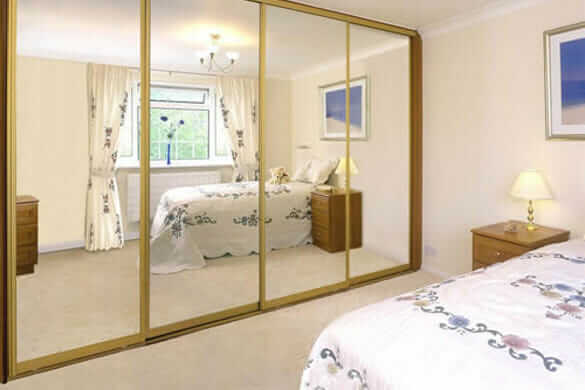 The Sovereign range features sliding doors made from aluminium, which gives them a sturdy construction and a modern finish. Select the colour of the aluminium framework that goes around the outside of the doors. We offer a wide choice of coloured glass that can be incorporated into your wardrobe design. Visit our showroom and our team will be able to talk you through the options available. Want to transform a whole room? We offer fitted bedrooms and bespoke furniture options within our Sovereign range. And we make all our furniture on site in our own West Wickham workshop, so everything can be completely customised to meet your needs.